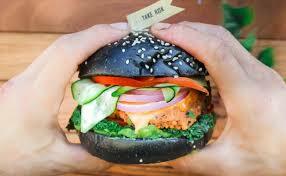 Can One Be A Vegan Goth? Now, this is quite a question because a lot will depend (a) on what you consider a Goth to be and (b) what you consider a vegan to be. I shall give you my definitions of the two so you can follow my argument, but if your definitions are different, then chances are you will not agree with me. That’s fine – just as long as you know what hymn sheet I’m singing from. I’ve set my definition of Goth out elsewhere, but for a brief recap, it’s someone who finds the shadow side, the dark subversive side of life preferable to the bright, plastic, surface side. It’s not all about drinking blood and eating brains – where I live, the latter appear to be in terrifyingly short supply, so it’s just as well I don’t subscribe to that school of thought. It treats death as a fact of life rather than something to be feared or demonised, and understands that people are different and that’s okay. My definition of vegan is someone who doesn’t eat meat, fish, dairy, eggs or honey and tries, where possible, not to promote or encourage cruelty to animals. In some ways this is easier than others – I try not to wear leather, but appreciate that shoes are going to be a problem in this regard so cut myself some slack. Just because death is a fact of life does not mean that that death has to be cruel and certainly promoting cruelty to animals as any form of sport or entertainment is not something I believe is morally justifiable, no matter how one tries to spin it. For me, the crucial thing is having the right intention but being practical about it. If I am given a choice, I choose the vegan – or at least vegetarian – option; and if I do not have the choice, I choose accordingly. Most importantly, I don’t beat myself up about it. I said in another post that silk is a good option for very hot summers – but it’s not vegan, so if you are not a vegan but have a lovely silk blouse, then by all means, wear it and enjoy it. The thing is, the two are not incompatible and I see no reason why Goths can’t be vegan if they choose to be so. The days where all vegans knitted their own mung bean sandals are, thankfully, long gone. I try to get at least one blog post out of the books I read or the films I watch. Sometimes it’s easier than others, and I can often get two or even three if it’s an especially good book. Sometimes, though, it’s a real chore. Either I can’t think of anything to write or I can think of lots to write but have no idea how to approach it. An example of the former is a book I read called Walkaway by Cory Doctorow – I really enjoyed it, but I couldn’t get any blog posts out of it. As an example of the latter, one of the things that Alias Grace reminded me of was the efforts made by the Earl of Longford to have Myra Hindley released from prison (the picture I’ve chosen is from the TV dramatisation, starring Jim Broadbent as Lord Longford and Andy Serkis as Ian Brady). Now Hindley’s crimes were on a whole different level to those of Grace Marks so it really was a Sisyphean task – but Grace has herself attracted the attention of prominent society people who are busy petitioning the government to have her released. This is the reasoning behind Dr Jordan’s arrival to analyse Grace’s mental health. If she is sane, then she has an opportunity for release, if she is suitably repentant. (Whether she is or not is another question entirely and not really for this post). The trouble I have is – how do I approach this aspect of the novel? Any discussion of the Moors Murders has to be handled extremely sensitively and if I’m honest, I don’t think I can do that because I don’t remember the Murders themselves. I certainly don’t want to cause unnecessary distress but I think it’s interesting how certain notorious criminals tend to attract intelligent and well-meaning people intent on securing their freedom, and I would have liked to discuss that. I just don’t know how. Also, the subject of the history of mental health treatments – and female mental health in particular – is massive and well beyond the scope of either this blog or my learning. I do find it an interesting subject and it is one that I may allude to again in the future but it really is too big for one post. The same argument applies to the history of medicine in general, as well as custodial punishment and Spiritualism – all big, interesting subjects but way too big to tackle in one go and all of which play a part in this novel. So you see – although I may produce lots of blog posts there are some that don’t get written at all, no matter how good the book is; sometimes I just don’t have the necessary inspiration. It’s nobody’s fault and I’ve stopped beating myself up about it. As soon as I stop enjoying myself, I will stop. Gothic but not Gothic – How Can That Be? Alias Grace by Margaret Atwood is a strange book. It’s a wonderful book, but it puzzles me. How can a book that contains most of the academically accepted tropes of Gothic literature and yet not feel remotely gothic? Admittedly, I am holding it up against Dan Leno and the Limehouse Golem which is entirely unfair; yet compared to the “darkness” of the Ackroyd, the Atwood feels positively “sunny”. Let me explain. One of the crucial gothic items is the remote location, isolating the action from the rest of the world. Naturally, a prison (and an asylum, as both feature in Alias Grace) is suitably isolating, especially since Grace spends much of her time in solitary confinement, apart from her visits from Dr Jordan. Grace is a young and attractive woman in a dire situation, in prison for life for murder; and Dr Jordan as the handsome young hero could be well placed as her “rescuer”, since his assessment of her mental state could be instrumental in garnering her release. The villains could be the doctors and warders who have controlled Grace since the start of her incarceration. There is a criminal element, if we believe that James McDermott led her astray after committing the murders himself, although the other inmates of the prison and asylum would also fit that criteria. The necessary supernatural elements beloved of all Gothic novelists could be suggested by the Spiritualism that the Governor’s wife turns to, as well as the hypnotists, mesmerists and other quacks that Grace has to deal with in an attempt to understand her mind. So there we have all of the significant Gothic elements present and correct in a story that doesn’t feel remotely Gothic at all. I really don’t understand it, it should be up there with The Castle of Otranto or (latterly) Affinity and Fingersmith by Sarah Waters, but it isn’t. It doesn’t read like a Gothic even though all the elements are clearly there. Does that mean there’s something wrong with the novel, or with the academic definition of the genre? Neither. I think the main reason why Alias Grace may have gothic elements but doesn’t read like a gothic is because it is based on a true story, and that is something that Gothic can never be. All true Gothic literature is fantastic, based on fantasy and imagination, and although the mind features strongly here, the non-fictional elements of the story will automatically render it un-Gothic. Really and truly, who needs academic definitions anyway? It’s a great novel with lots of interesting things going on and it’s Gothic enough for me. I’ve been swept away by Alias Grace, one of my favourite Margaret Atwood novels. It’s continuing my apparent theme of Victorian set murder mysteries, but this novel is based on true events, although the facts of what actually happened – much like Lizzie Borden’s parents – may never be known for certain. What is certain is that Thomas Kinnear and Nancy Montgomery were violently murdered in the house at which Grace Marks worked as a maid; she then fled the scene with a male servant, was tried and convicted, but the death penalty in her case was commuted because of her age – she was only sixteen at the time. In common with most other females of her time, Grace was a skilful needlewoman; at one point she comments that she has been sewing since she was four, with the result that she has learned to do tiny stitches which those less experienced in sewing cannot do. It is also revealed that Grace is making a quilt for her employer, the wife of the prison governor and this reflects a theme which Atwood has hidden in plain sight in the novel. Each of the chapters of the book is named after a particular quilt pattern. 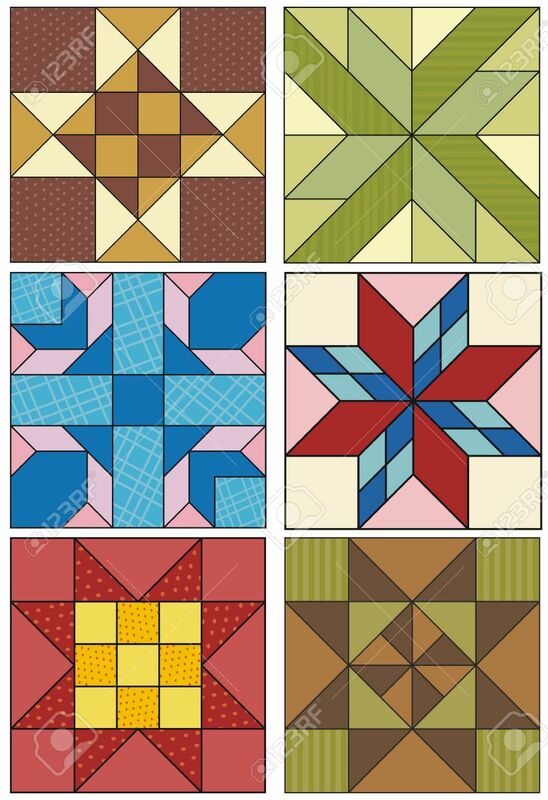 Women of North America (including Canada) during the 1800s did an awful lot of quilting; it was an economical way of using up fabric scraps and quilts were often made to form gifts for weddings or when family members left. As a result, the patterns came to represent memories or stories in much the same way as the language of flowers developed in Britain in the same period. It does seem to me, though, that this kind of quilt making was more popular with the pioneer women of the Americas than the stay at home women of Europe. Certainly, the advent of the sewing machine did much to revolutionise dressmaking and it may be that the skills required for hand quilting have died out. Now I admit that I do my fair share of needlework, although it’s mostly embroidery or running repairs to whatever I happen to be wearing at the time, but it’s fair to say that I’ve only ever done quilting at school and that was a six inch square patch which was about as average as everyone else’s. It’s been fascinating to me to find out about the different quilt patch patterns and also to see how they reflect on the novel. It really wasn’t what I expected – but I’m delighted to have found it. 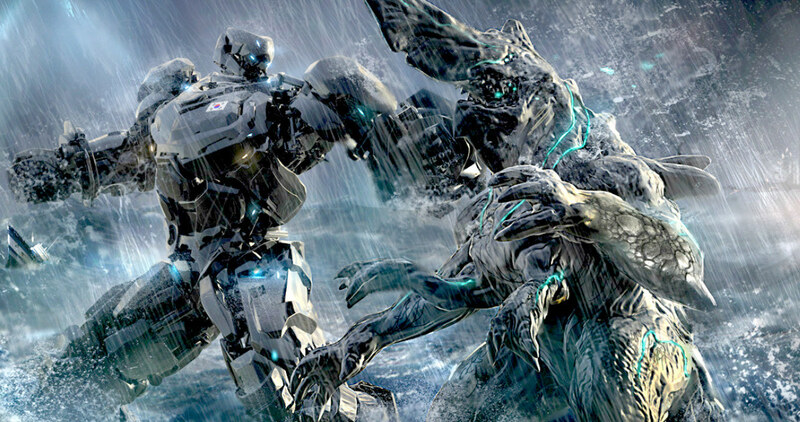 Hollywood science is what I call science that isn’t really science, but appears in films to make the plot trundle along and allow for a few long words or occasional action sequence. I really wouldn’t recommend using it as the basis for exam revision or anything like that – unless the film is The Day After Tomorrow, the science in that is pretty good. In 2003’s blockbuster The Core, even allowing for what little geologists know about what goes on in the interior of our planet, the “science”, such as it is, is pretty spurious. The film begins with a scientist realising that the Earth’s magnetic field has become unstable, causing extreme lightning storms and aurora borealis appearances, and this instability is due to the fact that the Earth’s core has stopped rotating. After a year, the magnetic field will disappear completely, causing the planet to become uninhabitable. A shuttle is built out of an invented material (interestingly sharing the same name as the material being mined in Avatar) which converts heat and pressure into energy, from which a crew of six will load and detonate six nuclear warheads into the outer core, kickstarting it back to life. Already I can feel the scientific credibility ebbing away. A material that can convert one form of energy into another? Sounds great, but I doubt very much you’ll be able to use it to actually MAKE anything, let alone a shuttle to traverse to the Earth’s interior. It’s like the material created by The Man in the White Suit – whatever you make will be an immense effort and will only ever be in one colour, because you can’t dye it. It’s a nice idea, but in practical terms, it’s pretty useless. And then there’s the completely ludicrous scene (which did at least get rid of one of the more irritating characters) where four of the characters step outside the shuttle to conduct urgent repairs. There is NO WAY that any material soft and malleable enough to be transformed into clothing of any kind will be able to protect against the heat and pressure of the Earth’s mantle for any length of time. They would be immediately turned into diamonds (yellow ones, because of the nitrogen content of human DNA) as soon as they opened the door. Utter nonsense. 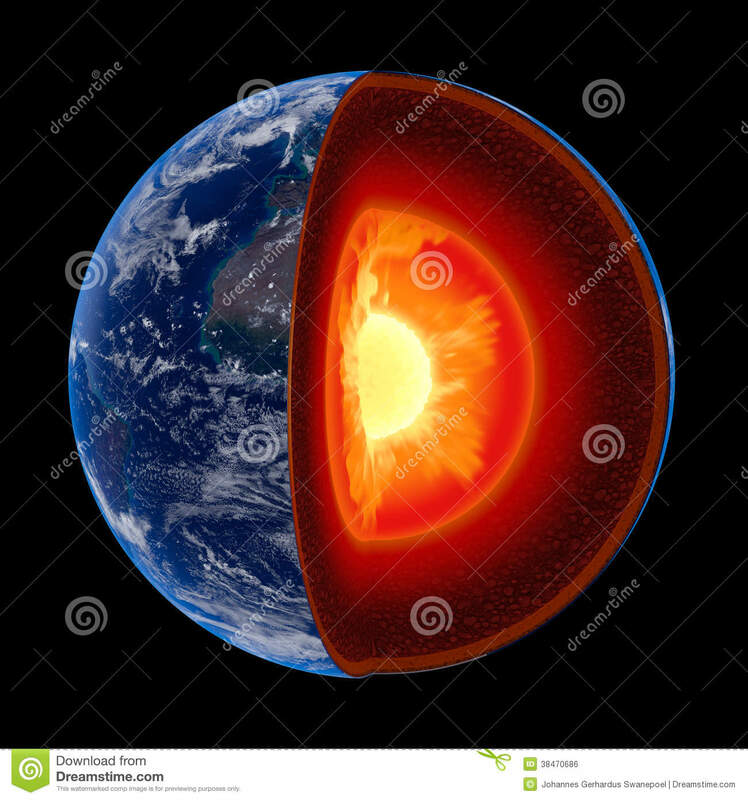 No geologist has a firm idea of what the interior of the Earth actually looks like, but there is a great deal of evidence to suggest that the inner core is crystallised iron – the magnetic poles are dictated by the direction the crystals are pointing, which is why it sometimes flips – and the outer core is considered to be mainly liquid iron with a little nickel. For iron to be liquid, it needs to be pretty hot; thousands of degrees Celsius, in fact. It would not have – and I quote – diamonds the size of Coney Island flowing through it. Besides which, if the core were not rotating, how would these diamonds flow? They’d just sit in space, wouldn’t they? One of the ways that the general consistency of the core was identified was the fact that seismic waves do not travel well through it. So please explain to me the logic of using seismic waves in the outer core to restart the rotation please? If seismic waves do not travel, how would Destiny work? The science in Jules Verne’s Journey to the Centre of the Earth was a mix of what was known at that time – late 19th century – and considerable speculation. 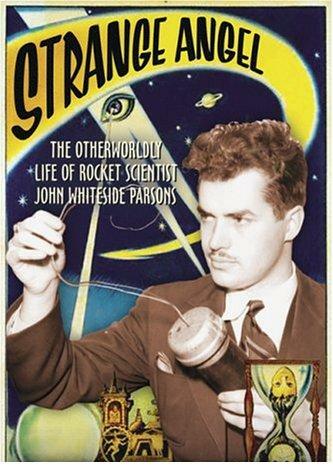 Some of it was relatively believable, although one has to bear in mind that when it was written, there was a lot of interest in Hollow Earth theories and lost worlds, and I don’t doubt Verne took this on board while writing. But that doesn’t apply to this movie, and it really is sloppy; I think the best bit about it is Stanley Tucci’s obnoxious Dr Zimsky. If you are in the mood for mindless entertainment for a couple of hours, it certainly fits the bill. Aaron Eckhart does serious very well and goodness only knows what possessed Hilary Swank to get involved. It is fun. It’s just not very scientific. I watched The World’s End a little while ago, which reminded me that I had the soundtrack somewhere in the depths of my CD collection. (“Record collection” still sounds better, but I don’t have one of those any more.) Written by Edgar Wright, who also directed, and starring Simon Pegg and Nick Frost, it’s basically a comedy science fiction movie centred around an epic pub crawl. But it isn’t, not really, and the clues to this are buried in the soundtrack. I firmly believe that The World’s End is about freedom, individuality and non-conformity and how it’s absolutely fine not to be like everyone else. In fact, being like everyone else is pretty tedious. 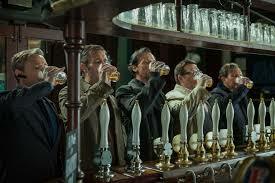 As one character describes the lack of character in the pubs they visit – “it’s been Starbucked”. And the clues in the soundtrack are the number of songs with the word “Free” in the title. There must be half a dozen. I’m not going to give the plot away. It’s a hoot and is well worth watching, if only to sing along to some cracking old tunes. I do think it reinforces the idea that homogeneity isn’t necessarily healthy, and a little eccentricity never hurt anyone. Just remember that you can’t do what you did when you were seventeen when you’re now forty nine. 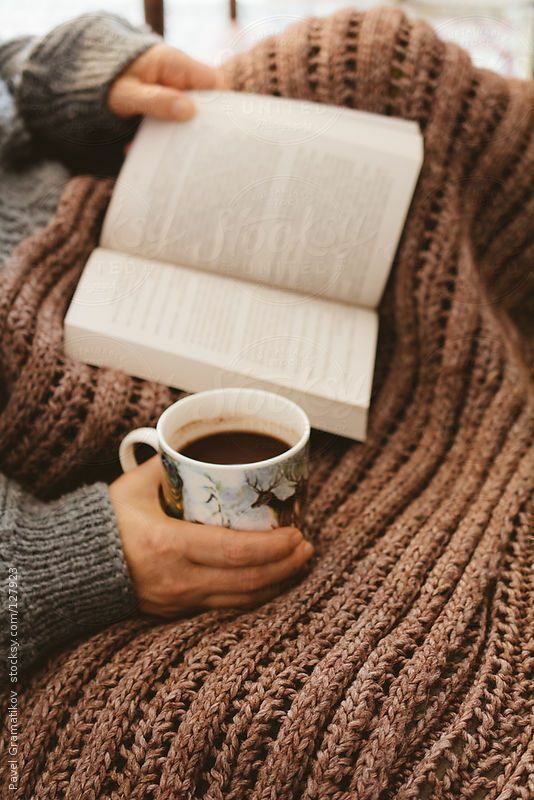 Leave A Good Book Alone! I picked up a book in the library recently that looked quite interesting. However, once I’d read the blurb on the back, I realised that it was a sequel by a different author to a book that I’d read some years before. I have no idea whether it was authorised or not – I can only assume that it was – but the short passage that I browsed before replacing the book on the shelf certainly wasn’t as good as I remember the original to be. There seems to be something of a vogue for writing sequels, prequels or “further adventures” of classic novels; there are even “new” novels featuring classic characters, most recently Hercule Poirot, James Bond and Sherlock Holmes. I read recently that the great-grandnephew of Bram Stoker, the author of Dracula, has written a prequel to the great novel – presumably to go with his less than successful sequel, which I have also read. So of the two books Dacre Stoker has written, both relate to a classic novel (and especial favourite of mine) which he has not written and which is considerably better than his efforts. It’s not just Dracula that’s suffering. I’ve found “sequels” to everything from Gone With the Wind to War of the Worlds, Rebecca to Frankenstein. Some of them are officially authorised by the original author’s estate, and that’s fine – but a few are not and with a couple of exceptions, none of them are a patch on the originals. I don’t want to suggest that the authors are incapable of original stories – “Mrs De Winter” was written by the same person as “The Woman in Black” – but I don’t understand the impetus. Why do it when there are so many other stories to tell? That said, I do wish someone would hurry up and finish Dickens’ The Mystery of Edwin Drood, mainly because I think I’ve worked out the plot but I want to find out if I was right. I think completing an unfinished novel is slightly different to producing a sequel/prequel/using the same characters, because the majority of the time the original author has left notes and plans and whoever takes over the authorship uses them to finish the story (usually), so the sense of the original author is always there. For someone to take (say) the character of John Jasper and tell a story of him twenty years later would be a bit much and I’m not sure I’d enjoy it. So please, authors everywhere, if asked – leave a good book alone and write those stories you wanted to read instead. They’re much more fun than rehashing the same old thing. One of the recurring motifs in Dan Leno and the Limehouse Golem is Thomas De Quincey’s famous essay “On Murder as One of the Fine Arts”. Even today this remains a controversial statement, but Ackroyd uses it skilfully to illustrate how the killer seeks public appreciation for what he does – the quest for an audience, the need for acclaim and so on. De Quincey would, I think, have appreciated the sentiment. In his essay, De Quincey explores a mass killing which caused a sensation at the time, and has become known as the Ratcliff Highway Murders. It deals with the murder of the Marr family in December 1811 at a linen draper’s shop in Ratcliff Highway and, in particular, with the funeral procession of the man convicted of their murder, John Williams, who had committed suicide (and thereby forfeited burial in consecrated ground). Ackroyd bases the Limehouse Golem’s final murder on the Ratcliff Murders in such a way that it is presented as a copycat killing, or in the Golem’s mind, an homage to an artistic masterpiece. Many of the characters either read or are familiar with De Quincey’s essay which provides one of many links between the characters. One of the things that I found interesting was how the body of the suicide was treated prior to its burial. It was traditional for many years to bury a suicide at a crossroads; and Williams certainly was. However, his corpse was paraded through the streets – pausing for fifteen minutes outside the draper’s shop in the Highway while a stake was hammered through his heart – to prove to the public that he was genuinely dead. This was something that I had only previously come across in vampire stories! I wonder if this was done because reports of the murder – in considerable detail – had spread widely and rapidly through the penny press, making it one of the first “sensational murders” to sell newspapers. It gripped the nation and remained a prominent story until Williams was buried. 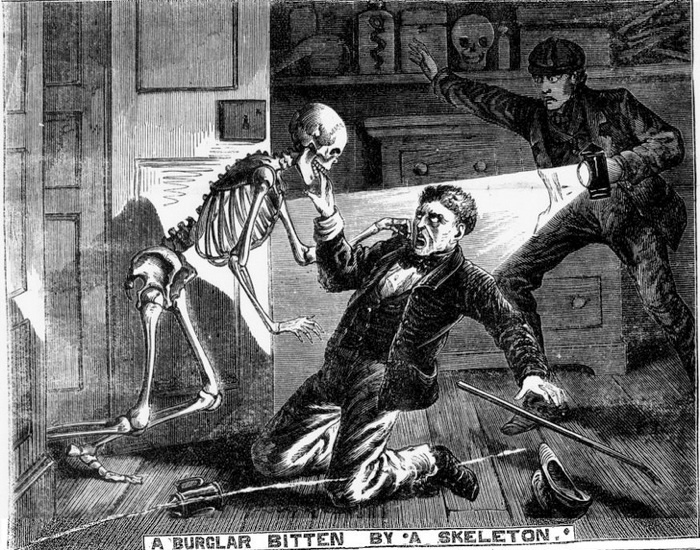 By the 1880s, when Ackroyd’s novel is set, the popular press was a little more expensive but no less sensational; in fact, the Illustrated Police News quickly garnered a reputation as the most graphic and gruesome publication available. It was also one of the most popular, so it’s quite apparent where the public’s tastes lay. It came into its own during the Ripper murders, and virtually any book about Jack the Ripper that is available today will include illustrations taken from the pages of the Illustrated Police News. It was how the locals of Whitechapel found out what was going on in their midst. I am old enough to remember the press furore during the late 1970s/early 1980s when West Yorkshire Police were hunting for a serial killer, nicknamed “The Yorkshire Ripper” by the tabloids. There was enough press coverage that I was able to compile a scrapbook showing how the investigation progressed – although I suspect it was more of an investigation by the media that I was illustrating. No idea what happened to it – it probably ended up in a bin somewhere, as it is a strange thing for a child to keep a scrapbook on, but I was never one for fairies or flower pressing. In later years, the press meted similar treatment to Fred and Rose West, Denis Nilsen and Beverley Allitt, although I’ve noticed it much less recently; perhaps we don’t have the same quality of serial killer any more – which brings us back to Thomas De Quincey’s original statement. I am very reluctant to view murder as an art form. This is something that can only really be proposed by the killer themselves, and no matter how homicidal I may feel some days, a killer I am not. That said, I can see some of the logic behind it; the general public clearly like a good murder, as any crime novelist will attest. Maybe there is something in it after all?